Watch news coverage of Paragonix® products and learn more about why transplant centers are implementing Paragonix SherpaPak™ Cardiac Transport System into their donor heart transport program. Please review the Indications of Use of Paragonix SherpaPak™ Cardiac Transport System below. Paragonix Gets FDA Nod for Pediatric Heart Transport Device December 20, 2018 The Braintree, MA-based firm’s Paragonix SherpaPak Cardiac Transport System also has clearance for the adult patient population. 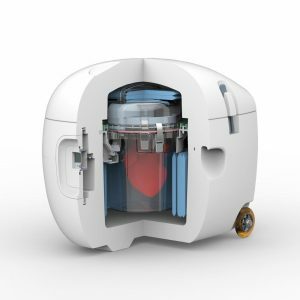 FDA clears Paragonix’s pediatric donor heart transport system Jan 7, 2019 The FDA has cleared a new insulated organ transport system designed for shepherding small and pediatric hearts from donors to transplant recipients. Indications of Use: The Paragonix SherpaPak™ Cardiac Transport System is intended to be used for the static hypothermic preservation of hearts during transportation and eventual transplantation into a recipient using cold storage solutions indicated for use with the heart. 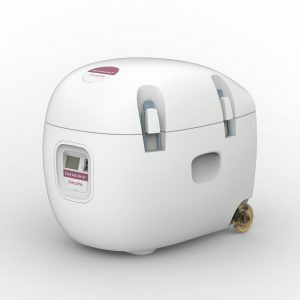 The intended organ storage time for the Paragonix SherpaPak™ Cardiac Transport System is up to 4 hours. Donor hearts exceeding clinically accepted static hypothermic preservation times should be evaluated by the transplant surgeon to determine transplantability in accordance with accepted clinical guidelines and in the best medical interest of the intended recipient. Please review the instructions for use for complete prescribing information including indications, contraindications, warnings and precautions.